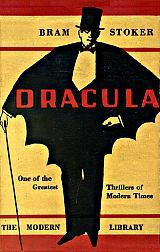 Jonathan Harker is travelling to Castle Dracula to see the Transylvanian noble, Count Dracula. He is begged by locals not to go there, because on the eve of St George's Day, when the clock strikes midnight, all the evil things in the world will come full sway. But business must b... read full description below.